Adopt, sponsor or donate…any of these helps us to save those that cannot save themselves. We all get by with a little help from our friends and our Sanctuary is no different. Click below to see how you can help RESCUE+LIFE. We are known by the friends we keep. Dog, horse, pig, alpaca or zebra…which is right for you? Sharing the love. 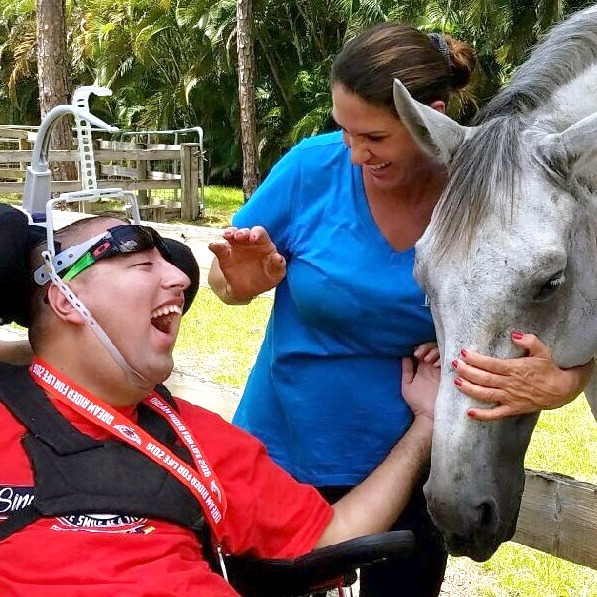 Throughout the year Rescue Life teams up with Dream Ride Foundation, Els for Autism, and other rescues providing education, comfort and an array of sunshine to those less fortunate. A lotta licks goes a long way! You can also schedule a tour of Rescue Life, take a pony ride or book an equine therapy session. It’s like going to the zoo but BETTER!